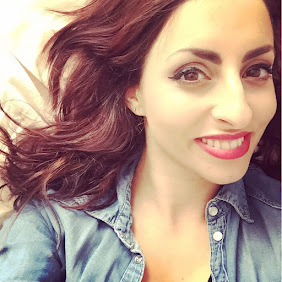 Here is a post of inspiration, I love trawling through Google for inspiration, from pretty fabrics to cute ideas it all inspires me so here are a few pictures taken from Google of what has inspired me this week. 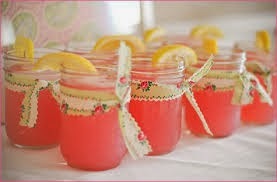 How pretty are these jars filled with a drink, tied with pretty ribbon and a wedge of lemon, definitely want to do this in summer! 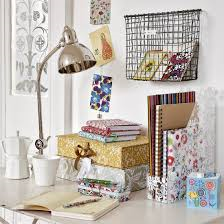 I wish I could organise my desk area like this, the clash of prints with the simple white lines inspire me to change my living room! 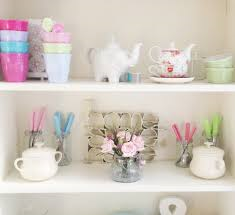 I adore the mixture of pastels and bright shades, the pretty teapots and cutlery with a hint of nature by the addition of the pink flowers makes me think of spring! 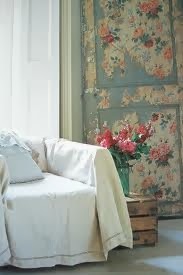 I adore seeing vintage pieces like this beautiful door adorned in tatty vintage wallpaper, I think its stunning and would love to buy a house with a room or rooms where the tattered wallpaper has been kept on the walls! 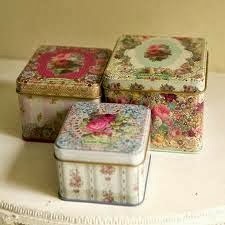 I love vintage tins, especially pretty ones which I struggle to get hold of, so this trio of floral ones are adorable! I think the colours within this picture attracted my eye towards it! 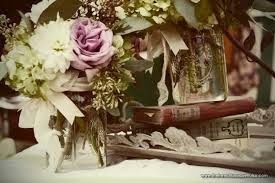 That rose is stunning, mixed with white and vintage books makes it seem dreamy! Love the pastels and desk area!